It’s here. The greatest competition for farm sprayer operators. Enter the Farm Sprayer Operator of the Year 2019 now. Yes it’s competitive, and yes there has to be one winner. But FSOOTY is also great fun for everyone to enter and to be involved in the camaraderie between sprayer operators, according to Syngenta Application Specialist, Scott Cockburn. “Everyone who enters has the same application challenges and frustrations, so there’s a huge amount to gain from sharing the solutions. One thing that’s repeated every year is that everyone finds they learn something new from other operators and can improve the way they work,” he reported. That’s the real reason to give it a go this year, even if you never entered FSOOTY before. Look back at the annals of FSOOTY history and most of the overall winners have entered and been finalists in previous years. Why? Because they’ve learned from the experience and from other entrants, to continually get better each time. 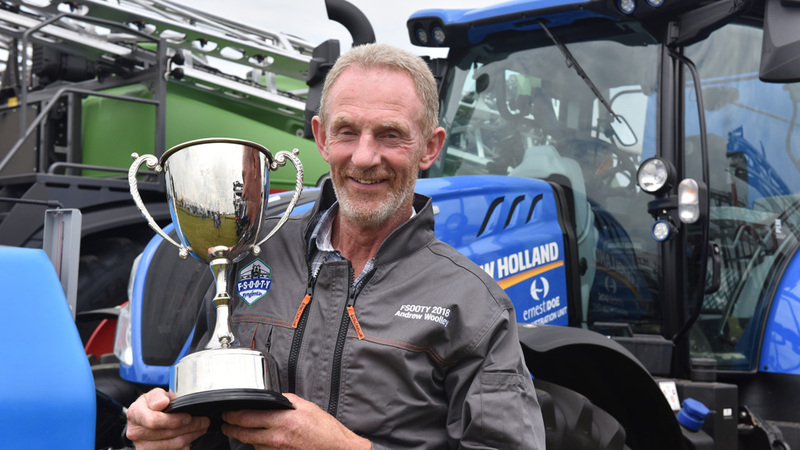 At this year’s Cereals Event presentation, Wiltshire operator, Andrew Woolley, was the overall winner for 2018, on his third appearance in the finals. “It’s been a great experience once again,” he said. “You get to pick up so many tips and ideas through both the competition and from the other entrants, through videos, social media and meeting up." “It’s a really good process and I would strongly recommend anyone to give it a go,” added Andrew. Farmers and agronomist are also urged to encourage their operators to enter and get the benefits of being involved. All the finalists win an expenses paid trip for two to the Cereals Event presentation, with the overall winner claiming a study tour of farming and application techniques in Europe. Also, 20 runners up will win tickets for Cereals. FSOOTY gives sprayer operators clear recognition for their highly important role, as well as enhancing their continuous professional development and industry position. Operators can enter FSOOTY 2019 direct by clicking here - or through the dedicated application advice website, Ei Operator. This year, operators will also be able to enter the competition on the Syngenta stand (number 1.152) at the CropTec event, to take place at the East of England Showground, Peterborough on 28 and 29 November.